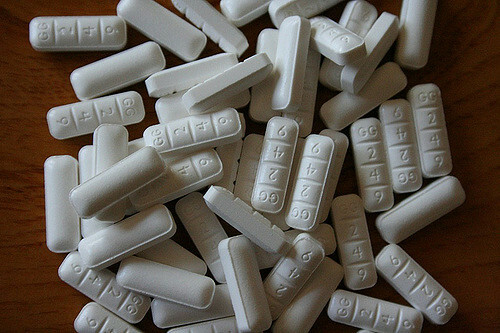 Xanax was introduced in the 1990’s as a safer form of Valium. It would accomplish the same things as prescription Valium without some of the nasty side effects and the delivery system would prove more efficient in speeding almost instantaneous relief to the brain. However the ray of hope in this drug found its dark cloud as clinical trials by the FDA and Upjohn, the creator’s of prescription Xanax discovered that by the eighth week of the trials the patients being treated with Xanax were suffering from severe symptoms of withdrawal causing them to rebound experiencing increased anxiety and night terrors. It was reported that there was a 350% increase in the number of anxiety attacks suffered by test subjects. These findings of course were alarming and denoted that serious adaptation would need to be made before the drug went mainstream. The FDA therefore only recommended the drug be used for the short term relief of anxiety attacks. Although this seemed at first to be a very reasonable solution to the controversy more and more patients were reporting withdrawal symptoms even within the first 4 weeks on treatment. What were these Xanax withdrawal symptoms? The withdrawal symptoms include nausea, accelerated heart beat, dizziness when standing, night terrors, hallucinations, temporary loss of memory and motor functions, vomiting, diarrhea, drastic changes in mood and muscle and bone pain. Further symptoms include an intense reaction to light and sound, and the occurrence of panic and or anxiety attacks. In the most extreme cases seizures, profound sadness or depression and thoughts of suicide may develop. Seizures and depression, which present the most serious and dangerous symptoms during withdrawal are more likely to occur if a person stops Xanax cold turkey. But trials discovered that even on a regular treatment plan of Xanax missing just one dose would also produce withdrawal symptoms. How did this happen? Xanax although exceptionally effective at controlling the symptoms of panic disorder and anxiety also has a high tolerance rate and addiction rate. Patients soon discovered that their bodies quickly built up a tolerance which caused their normal dosing to prove ineffective or less effective than at the start of the treatment. As their dosage was gradually increased so was their addiction or dependence on the drug. It is important to maintain a keen eye on your progress if you are currently taking prescription Xanax. If you develop any of the symptoms of withdrawal, regardless of how minor they may seem, this should be reported immediately to your physician so that proper methods can be put in place to help your body adjust safely. ← How can I Cope With Xanax Withdrawal?